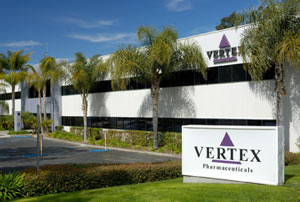 Vertex has struck a market access deal in Italy for its cystic fibrosis treatment Orkambi (lumacaftor/ivacaftor). The reimbursement agreement with the Italian Medicines Agency (AIFA) will, the Boston-based pharma company said, enable access for hundreds of people in the country. The firm was light on the details of the deal, but said it would add to pricing European pricing and reimbursement agreements in Germany, Austria, Denmark, Ireland and Luxembourg. However, there are a number of countries with which Vertex has not been able to come to an agreement, among them France and England, whose cost-effectiveness watchdog rejected the drug last year. Publishing its final appraisal determination NICE said the £104,000 per patient price tag was "too high" for the drug’s “modest” short term benefit, but Vertex is still working on coming to an agreement. Orkambi treats cystic fibrosis in patients that have two copies of the f508del mutation and the twice-daily oral is the first medicine to treat the underlying cause of the genetic disease. Vertex has been involved in a CF research programme since 2000 as a part of collaboration with CFFT, a non-profit drug discovery and development affiliate of the Cystic Fibrosis Foundation.